RAUTAHAT, Jan 17: Police on Tuesday raided a forester’s house and seized a large amount of improvised explosive devices (IEDs), arms and body parts of wild animals in the district. 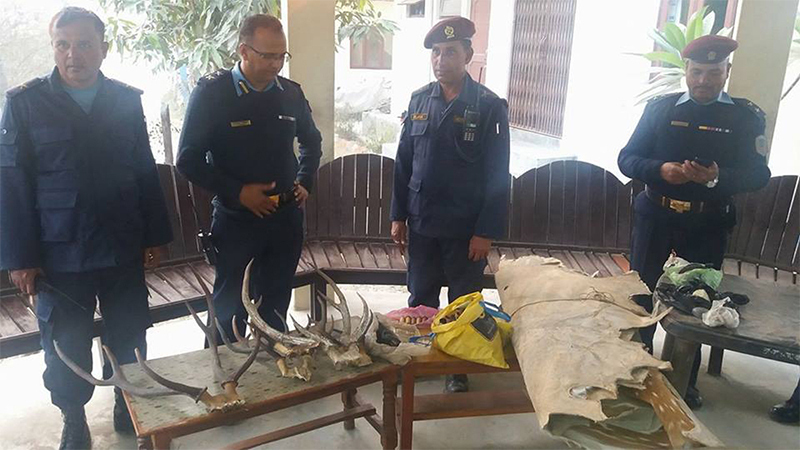 Acting on a tip-off, a police team led by Inspector Ashok Jha raided Bijaya Shrestha’s house based in Chandrapur Municipality-14 and seized a large amount of improvised explosive devices, arms, its ammunitions and various body parts of endangered wild animals. The team also seized a 12-bore shotgun, its six rounds of bullets, 130 bullet-shells, 1 kg shrapnel, a half kg of gun-power, among others from Shrestha’s house. Shrestha is a forester at the District Forest Office, Rautahat. A necessary action will be taken against Shrestha if found guilty following investigation into the case, District Forest Office, Rautahat Chief Dirgharaj Koirala told Republica Online.